Elle Magazine recently published my article “How To Be Unforgettable” at Elle.com. In this piece, I explore what makes a fragrance memorable and why some perfumes receive more compliments than others. I hope that you will enjoy it. Perfumer Sophia Grojsman was returning home one evening when she noticed a man following her. As she quickened her step and clutched her handbag, the man shouted, “Wait, wait, I don’t mean any harm, I just want to know the name of your perfume. It’s amazing!” The fragrance was Calvin Klein Eternity, which Grojsman was designing at the time. Once launched, Eternity rapidly climbed to the top of the charts, and today, this explosive floral is still among the best sellers. Grojsman’s anecdote is an extreme example of a perfume compliment, but the poignant reactions that scents can provoke made me wonder—what is the ultimate head-turning perfume? To read the rest, please continue to Elle.com. Do you ever compliment others on fragrance? If so, what perfumes have received compliments from you? 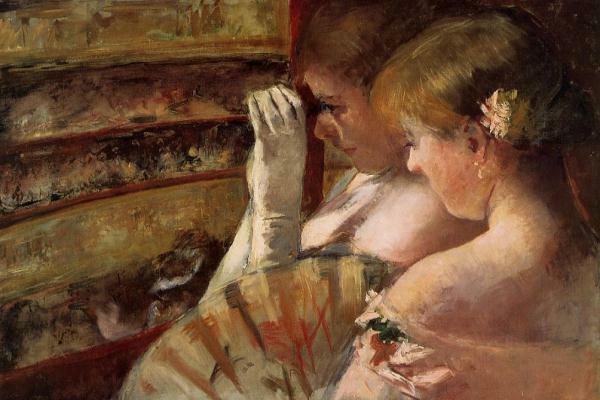 Painting: Cassatt, Mary, A Corner of the Loge (In the Box), 1879. via Wiki-images, some rights reserved. blauriche: I think the fragrances for which I tend to receive the most compliments are Chanel Coromandel and Hermes Bel Ami. Probably also Hanae Mori HM and Rochas Man. I think as a man, people tend to notice more when I wear something that’s typically feminine. I’m not sure everyone likes it, but I feel like I also get compliments from people whenever I wear Balenciaga L’essence for example. Just recently I couldn’t believe the incredible fragrance I was smelling on someone nearby while at a supermarket checkout. The lady ahead was mid 50s and well presented with her man friend and I asked her what that fabulous smell was & expecting an Amouage/by Killian/Micallef/Xerjoff but it was Eternity by Calvin Klein. So it’s not just Sophia Grojsman who can rock that frag. Ruth: Great article! I compliment others on fragrance quite often. There are many fragrances which I wouldn’t want to wear myself, but which I enjoy smelling on others – examples include Angel, Coco Mademoiselle and Miss Dior Cherie. Austenfan: The fragrance I give most compliments on is Coco Mademoiselle. Which I don’t like on paper or on myself. Just getting a whiff of it on someone else is apparently the only way for me to enjoy it. I have received compliments on Vamp à New York, the original Nina , Bois de Paradis and most of all L’Heure Bleue. Candice: Austerfan – If you live in NYC and would like my 99.9% full bottle of Vamp, you’re welcome to it. Ari: Congratulations, Victoria! The article was beautifully written, and I have no doubt that fumies and non-fumies alike will all enjoy it. Victoria: Thank you very much, Ari! I recently had to study how the materials diffuse, so it was fascinating to see how some notes have an incredible power on their, while others need a couple of supporting actors. nikki: Yes, very interesting and informative article, Victoria! Congratulations! Victoria: The latest compliment I’ve received was on Santal Majuscule! I adore this perfume. Jillie: It is so lovely to read the anecdote about Eternity, as it has been one of my favourites since it first appeared and I have often received compliments on it. My sadness is that it is not always very loved by a lot of perfumistas, a fact that I only discovered recently and which amazed me. I always return to Eternity after months of wearing other perfumes. Victoria: That’s a fantastic story! The choice of scent seems perfect. Erin T: You image choice is so much more interesting than Elle’s, which I guess is expected! The article is wonderful, as always. Victoria: I love this painting, and I wanted to use it in something for a while. Such an alluring image. Patchouli is an interesting note. Many people claim to dislike it, and yet they love Coco Mademoiselle, Angel and Prada. Sandra Levine: When I used to wear L’heure bleue (years ago, in the vintage formulation) more than one man ran after me in the street to ask what the fragrance was. I complimented a woman’s fragrance once, in a doctor’s office, but she claimed not to remember what she had applied that morning. irem: My most complimented fragrance must be Kenzo’s Ca Sent Beau. I have received countless compliments on it, mostly from women. 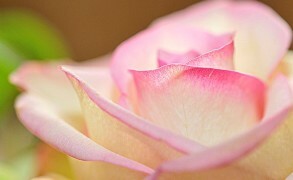 I had first smelled it on a distant friend, complimented her and asked the name of her fragrance. Next time I saw and smelled her again I had to purchase a full bottle unsniffed. I went through multiple bottles and tons of compliments. I stopped wearing it around the time when I started reading perfume blogs (ca. late 2005) and playing around with Mitsouko and other perfume almighties. But I still keep a bottle of Ca Sent Beau. The funny thing is I have mostly not really enjoyed “wearing” the fragrance myself. I absolutely love its silage – I’ve recently sprayed it on mom and almost swooned every time I got a whiff of her scented trail. But close up on skin, I find it a bit disappointing; artificial and slightly jarring. I don’t think I would have ever purchased it if I had first tested it by spraying my wrist. What kept me using the fragrance for years was not the many compliments, though – and by many, I mean almost daily compliments, sometimes several a day. I fell in love with it every evening when I put away my clothes. They would smell heavenly! When I got my copy of Perfumes the Guide (Turin & Sanchez) Ca Sent Beau was one of the first fragrances whose review I had to check. I both was (no one ever talks about it) and was not (it indeed smells good) surprised to see it garner five stars. Cornelia Blimber: What a coincidence! I was wearing Insolence in a museum, not in Amsterdam, but in Haarlem. Insolence has such a good longlevity, I like it when I have to travel. Did you go to the Rijksmuseum? Victoria: Thank you for your recommendation! Victoria: Yvresse is a beautiful fragrance, and it’s another one from Sophia Grojsman! Her perfumes really are like a warm embrace. behemot: Very good article, Victoria. I really enjoyed reading it. Memorable perfumes is such a great topic to write about! Victoria: Thank you, it was a fun topic! Daisy: I was in Aedes the other day and saw that Molecule 01 now comes in a refill! Where was that when I was wearing it?! annemariec: That’s a beautiful piece Victoria and I enjoyed it very much. Australians are a fairly reserved and laconic lot, and it is rare to get a compliment on perfume. Fortunately my daughter is a great complimenter; Rose 31 garnered her most recent comment. Merlin: Like some others above I have never been complimented on my frag by a total stranger. Thats right. Never. I wear quite a bit, usually about 5 sprays, at least one on my clothes as my skin does make perfume ‘disappear’. I guess the good part of this is that there is no temptation to wear scents that other people will approve of. It is entirely a personal pleasure. Victoria: I also love being complimented on fragrances that I particularly enjoy. TaffyJ: I hope no one is offended by my comment, but I believe people who receive compliments on his or her perfume are probably very attractive, young and/or very stylish. In other words, the perfume can be an avenue to approach this gorgeous person…or simply to find out the scent so that the complimenter might share in the glamour. Not that an older woman can’t be gorgeous, but I would be amazed that older women receive compliments on a regular basis. (I am in the older women category; I am lucky that I make it across the street alive, much less receive compliments. Older women, in my and my friends’ experience, tend to be invisible.) (unless of course one is an exceptionally beautiful older woman). Victoria: I think the subject of compliments is really fascinating, perfume compliments aside. I don’t think that the compliments are the provenance of only young and stylish, it’s really about the people around you, how they interact and also whether you’re in circumstances when it’s appropriate to receive a compliment. People hardly talk to each other in the NYC subway, but if you sit next to someone at a coffee shop, she or he may strike up a conversation. For instance, my mother gets way more compliments than I do. When we were checking into our flight back to the US one time, a French airline clerk after asking all of the usual questions said to my mom, “Do people often tell you that you’re beautiful?” To which my mom coyly replied that her husband does. 🙂 Of course, this was in France. Can you imagine such a scenario in the US? Victoria: I really think that how you wear the perfume matters a lot. Hiris is hardly a bombshell, but it makes me feel so good that I must smile more when I wear it. That’s my theory. Merete: I enjoyed the article. In the Nineties I got quite a lot of compliments for Coco Chanel. These days, I’ve received compliments for 31 Rue Cambon, which, to me, is an exquisite example of “Radiance without Noise”. Victoria: I also wear very little, mostly because I myself get tired of my own sillage if it’s too strong. Cyn: I once smelled Tosca on a woman while I was working at an OB/GYN office. 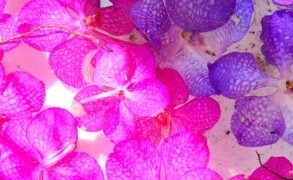 It was the most beautiful thing I had ever smelled and the woman was only too happy to tell me where she purchased it. I quickly ordered a bottle and, to my dismay, it smelled HORRIBLE on me. I was so upset that once I found Halston, which smelled lovely on my skin, I wore it exclusively for years, afraid to repeat that awful Tosca experience. lari: My mom wore Balmain Ivoire the last 15 or so years of her life. She always smelled wonderful and she was quite pretty but large. Men of all ages asked her what was the lovely perfume. It never ceased to amaze me. Yes, it was lovely on her (I still find it attractive on other women and not so common) but it really evoked a lot of response. I used to wear Moroccan Jasmine Essence from Kiehl (now sadly and stupidly defunct) and on the NYC subway years ago and a woman ran after me saying “oh miss, is that Oscar?” when Oscar had just come out. It was hilarious, she was unhappy when I told her no. I had a lot of positive response to that scent from many people…A young mother whom I had known since her childhood said that my “Fendi” which I also wore often smelled to her always of comfort- a really lovely thing to say. When wearing Caleche recently someone mentioned to me I smelled “vintage”. I try to be light handed with scent (especially when they are big scents), but they see to evoke comment. My last and funniest-I had bought Kiehl “Rain Essence” about 30 years ago. On my way to my office, a very tired sleepy coworker sharing a cab with me, began sniffing around (her eyes closed) and commented that i/the cab smelled like a wet garbage dump. She in fact had something there. Handed that off to a friend who didn’t think so. OperaFan: First of all – Congratulations on another published article! Mimi: I think I’ve only ever gotten complimented on Nahema and Climat. As long as I don’t get the bug spray or old lady comments, I’m fine with what I wear. I have complimented Coco Mademoiselle on others quite a bit as well as Euphoria and Knowing. I guess I like woody, patchouli scents. Debra Slotkin Shulman: I always enjoy your insights about perfume, a new interest of mine. I don’t often get compliments on my perfume, but I dated an old boyfriend because he had to find out about “the girl wearing that great perfume.” I was wearing L’Air Du Temps – the vintage version because this was in 1970. I was also stopped in the street one summer in the 70’s and asked what perfume I was wearing and, of course, it was L’Air Du Temps! L’Air du Temps is also my husband’s all-time favorite. I had stopped wearing it because I didn’t have any vintage left and the new version just is not the same. I found an unopened, boxed bottle of the toilette water in an antique store and purchased it on the spot. The following day I wore it to work and when we were sitting down to dinner that evening he asked, “You wore the new stuff this morning?” When I said yes, he said he could smell me even after I left and he loved it. I also received compliments when I wore Vera Wang. A young man helping me choose a picture frame leaned over the counter and asked me “What perfume are you wearing?” When I answered “Vera Wang” he said “I have to get me some for my girlfriend!” I was in my 50’s and he was in his 20’s, so I don’t think flirting was the motive. Candice: I always get a ton of compliments when I wear St. Barthlemy by Jouany (a fairly new indie brand). I live in NYC and so I’m always in taxis and buses and get lots of requests for what I’m wearing, with people actually writing it down! My very chic, fragrance loving super, and one of my doorman went to Bendel’s and bought it for themselves. It’s an exceptional fragrance on both men and women. Lydia: Two times stand out immediately for me, one many years ago, one recent. I was browsing in a museum bookstore last year, and a woman there observed out loud that something smelled really good and asked if I was wearing perfume. My sample for the day was Lys Mediterranee, and I wrote down the name for her. I think the fact that she broke through the normal NYC reserve to ask me about the scent is a good indication of how much she liked it, and it made me really happy that I might have introduced her to a new favorite fragrance.